Tropicana Community Services | Harnessing creative energies, talents and resources to enhance lives and build better communities. Support The Tropicana Effect!Donate Now! The Tropicana Effect – like a pebble thrown into a still pond, Tropicana programs affect the lives of individuals and those around them. 505 Consumers Rd. Ste. 102. 505 Consumers Rd. Ste 102. My name is Nichola Bynoe. I came to Canada 17 years ago when I was just 21 years old. 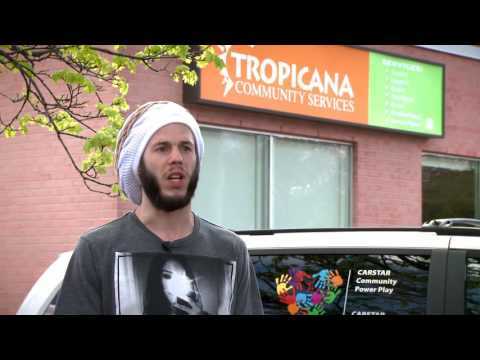 Tropicana Community Services, a Toronto-based multi-service organization, provides all youth, newcomers, people of Black and Caribbean heritage and others in need with opportunities and alternatives that lead to success and positive life choices. Our mission is achieved through culturally appropriate programs such as counselling, child care, educational and employment services and youth development. Get relevant employment tips from Tropicana’s employment blog.